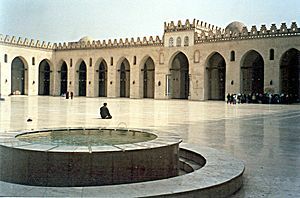 The Fatimid Caliphate was ruled by the al-Fātimiyyūn (Arabic: الفاطميون) dynasty from 5 January 909 to 1171. It was an Arab Shi'a dynasty It ruled the fourth and final Arab caliphate. In different times different areas of the Maghreb, Egypt, and the Levant belonged to the caliphate. Fatimid Caliphate Facts for Kids. Kiddle Encyclopedia.